As I sit and ponder a Thanksgiving message, I think of all that I am thankful for. I want to share those things with you, but first I ask that you to would take some time to reflect on this season of gratitude. I am thankful for all of our customers, contractors and employees. I sincerely hope this attitude of gratitude and appreciation is evident in our daily interactions with you. 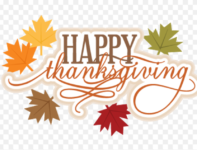 We realize Micro Plumbing Inc. exist because of you and we are grateful! Now that you’ve had a moment to contemplate, what are you thankful for? Thankfulness is contagious. Think of one blessing and I bet you’ll think of two, then three…the flickering fireplace, a savory dinner, front-row parking, a toothless grin, the first snow fall. For me, I am thankful for My Beloved husband, my family and God’s protection over all of us. We truly have had a blessed year. Mike and I celebrated our 30th year of marriage! Our family has grown with our son’s marriage and our daughter’s engagement! We have had continued good health and unmeasured safety over each of us! So with that we are thankful and look forward to joyful celebration of Thanksgiving!